On the 11th (Sat), stop by Elan Ski Shop & Rental and then don't miss a visit to Giewont Husky Adventures. Here are some ideas for day two: make a trip to LUVATTUMAA - Levi Ice Gallery, relax in the rural setting at Ounaskievari Reindeer Farm, and then take a memorable tour with Tours. To find maps, photos, where to stay, and other tourist information, use the Levi driving holiday planner . Helsinki to Levi is an approximately 4.5-hour combination of flight and bus. You can also do a combination of train and bus; or drive. Expect a bit cooler temperatures when traveling from Helsinki in May; daily highs in Levi reach 11°C and lows reach 1°C. Wrap up your sightseeing on the 12th (Sun) early enough to drive to Akaslompolo. Eschew the tourist crowds and head to Scandinavian Adventures and Akaslompolo Sportshop. Take a break from the city and head to Pallas-Yllastunturi National Park and Seven Fells Up. To find more things to do, maps, reviews, and tourist information, read our Akaslompolo day trip site . Traveling by car from Levi to Akaslompolo takes 1.5 hours. Alternatively, you can take a bus. Expect a daytime high around 11°C in May, and nighttime lows around 1°C. Wrap up your sightseeing on the 15th (Wed) to allow time to travel to Pyhatunturi. Kick off your visit on the 16th (Thu): take an exotic tour of a safari tour and then identify plant and animal life at Kopara Reindeer Park. Use Inspirock's suggestions to plan your Pyhatunturi trip and find the best activities and attractions for your vacation. Getting from Akaslompolo to Pyhatunturi by car takes about 2.5 hours. Expect a daytime high around 12°C in May, and nighttime lows around 1°C. Cap off your sightseeing on the 16th (Thu) early enough to travel to Saariselka. 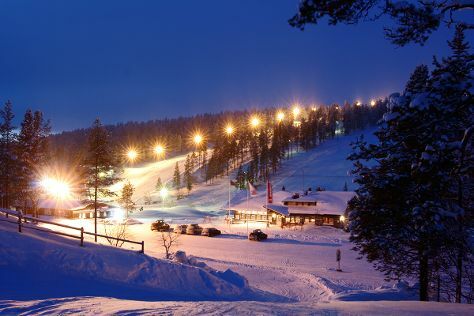 Start off your visit on the 17th (Fri): fly down the slopes at Saariselka Ski & Sport Resort. 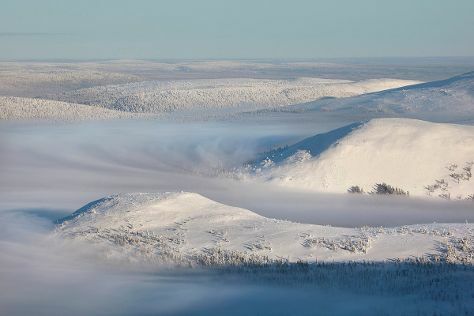 On the 18th (Sat), you'll have a packed day of sightseeing: see the interesting displays at Gold Prospector Museum, explore the wealth of natural beauty at Urho Kekkonen National Park, and then perfect your strike at Saariselka Bowling. To find other places to visit, more things to do, reviews, and other tourist information, go to the Saariselka trip planner . Traveling by car from Pyhatunturi to Saariselka takes 2.5 hours. May in Saariselka sees daily highs of 11°C and lows of 1°C at night. Finish your sightseeing early on the 18th (Sat) to allow enough time to travel back home.